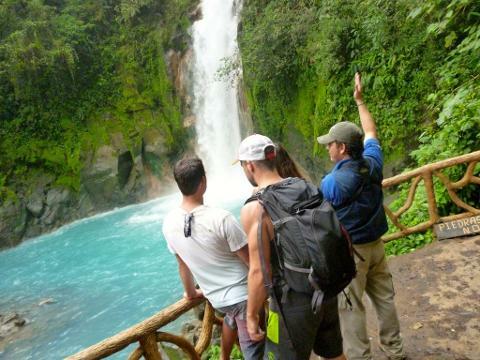 Maximize your vacation time by visiting the majestic Rio Celeste during your hotel transfer! 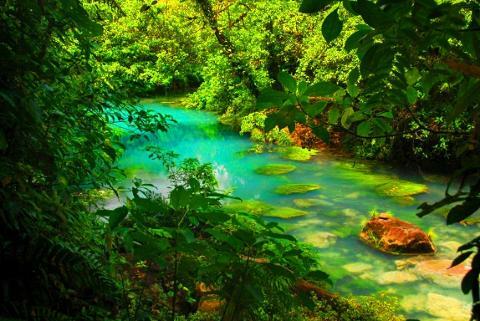 The Rio Celeste National Park is a beautiful 1.5 hour scenic drive from the Arenal Volcano through the rustic Costa Rican back roads. 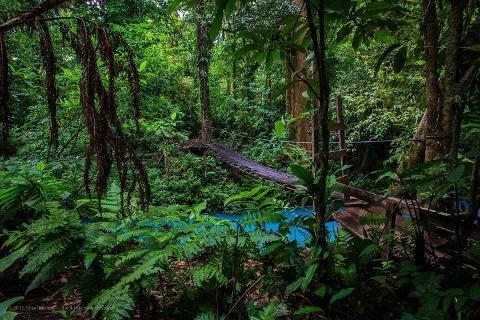 When you reach Rio Celeste National Park, you will embark on your 3 hour long hike through the lush rainforest with one of our naturalist guides who will point out exotic wildlife and vegetation- birds, insects, and sometimes even monkeys and sloths! 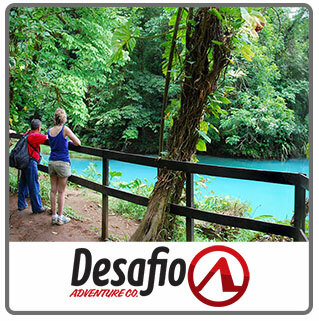 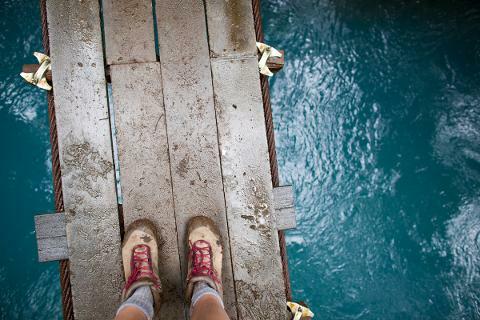 When you arrive at Rio Celeste, you will be amazed by the beautiful sapphire blue color, which is the result of two rivers joining together, creating a mixture of sulfur and calcium carbonate. 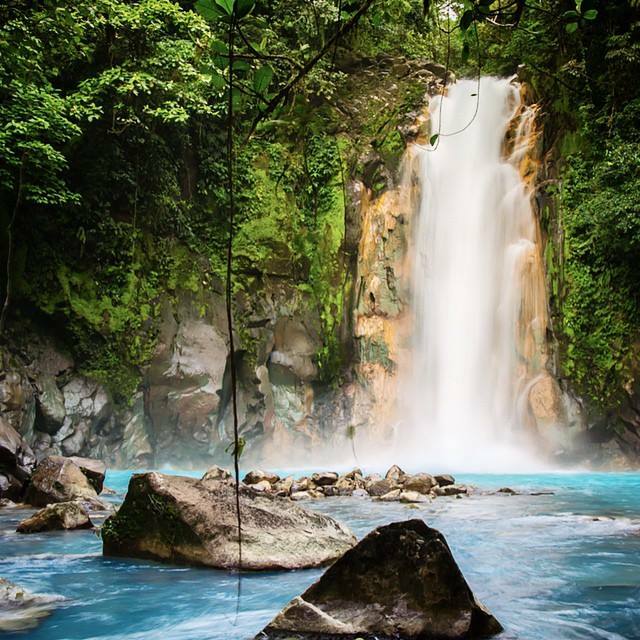 Later on in your hike, you’ll reach an impressive waterfall– the perfect place to relax, enjoy the surrounding beauty, and take lots of pictures! 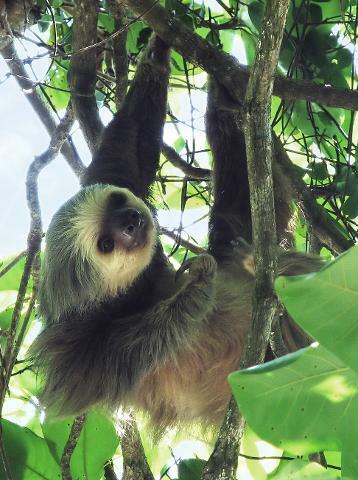 To finish off your journey, enjoy a delicious Costa Rican lunch before we drop you off at your new vacation destination.